Barbara Thomaß, Leonhard Dobusch, Ellen Euler, Christine Horz, Christian Herzog, Phil Ramsey and Volker Grassmuck. 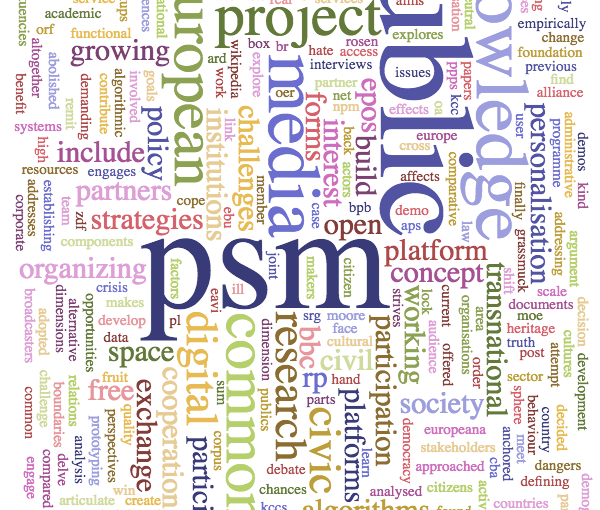 EPOS is a project for conceptualizing a European public sphere constituted jointly by PSM, public knowledge institutions, knowledge commons communities and audience organisations. prototyping activities that showcase what EPOS could be. EPOS is a research and development project by Barbara Thomaß, Leonhard Dobusch, Ellen Euler, Christine Horz, Christian Herzog, Phil Ramsey and Volker Grassmuck.